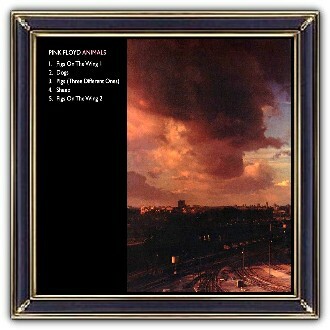 Hipgnosis Design group offered three ideas for the Album Cover. One of which was a small child entering his parents bedroom to find them copulating; like animals. 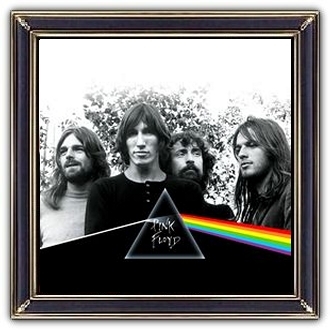 Roger waters, however, had another idea. 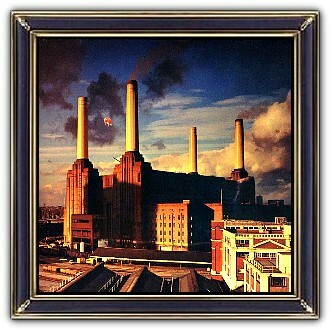 He lived nearby the Battersea Power Station. The band commissioned the German Balloon Company and the Australian artist Jeffrey Shaw to create a porcine balloon. This huge balloon (30 feet / 9.1 m long and named Algie) was inflated with helium and brought into position. Due to the bad weather the balloon broke loose and flew away. Two days later there was a second attempt. 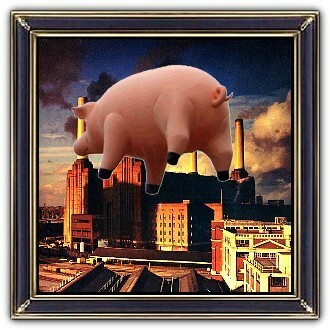 Nevertheless; early photographs of the power station were considered better and the pig was later 'photoshopped' onto one of those.